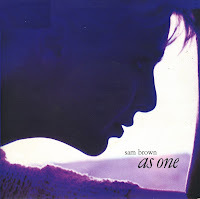 'As one' was the final single taken from Sam Brown's 1989 album 'April moon'. As far as I know, there was no cd-single release, only a 12" single and a 7" single - which in 1990 was quite unusual. The choice of this track for a single was quite unusual too, as it was not particularly a standout track on the album. Furthermore, the single was barely promoted, and so it sank without a trace. 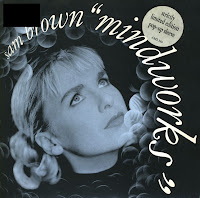 'Mindworks' was released as the fourth single from Sam Brown's 1990 album 'April moon'. 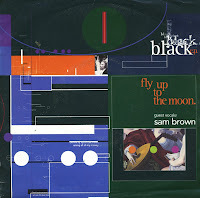 In the UK, a strictly limited edition featured a pop-up gatefold sleeve, with part of the lyric of the song and Sam Brown's head popping out. Still, the single did not chart in any territory. Remarkably, the record company did not give up after this and released one more single from the album: 'As one'. 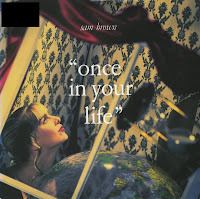 'Once in your life' was the fourth single taken from Sam Brown's 1990 album 'April moon'. It was released in Europe only, as far as I know. Despite a colourful music video and an equally colourful sleeve, the single was not successful in the charts. 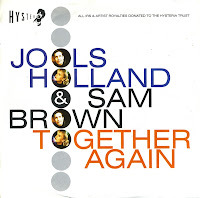 The B-side, 'So far so good' was a mainly instrumental track, and one of many bonus tracks included on Sam Brown's cd-singles circa 1990. Sam Brown's second album 'April moon' spawned five singles, of which 'Kissing gate' was the second. It was the biggest hit from the album, peaking at number 23 in the UK singles chart and also reaching number 45 in Canada. The single was released in a limited edition pop-up sleeve. 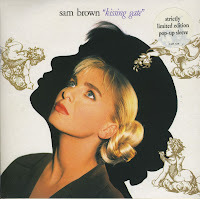 The popup revealed an image of Sam Brown with the lyric of 'Kissing gate' behind her. The quirky B-side 'Is it mustard or mango?' is a nice treat as well. 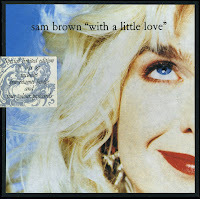 In 1990, Sam Brown released her second album 'April moon'. The album was introduced with the single 'With a little love', a nice pop song that achieved some chart success in the UK (number 23), Germany (number 52) and Australia (number 89). 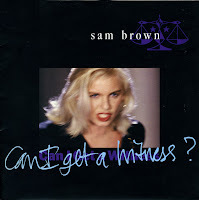 Released as the fourth and last single from Sam Brown's debut album 'Stop', 'Can I get a witness' was a cover version of Marvin Gaye's 1963 hit song written by Holland, Dozier, Holland. Other cover versions were recorded previously by Dusty Springfield, the Rolling Stones and Steampacket (with Rod Stewart). 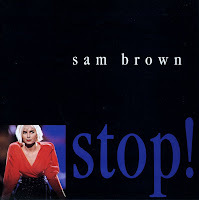 Sam Brown's version was a hit in the UK only, peaking at number 15. The single was available in a limited edition poster sleeve, which of course I own. 'This feeling' was the third single taken from Sam Brown's debut album 'Stop!'. 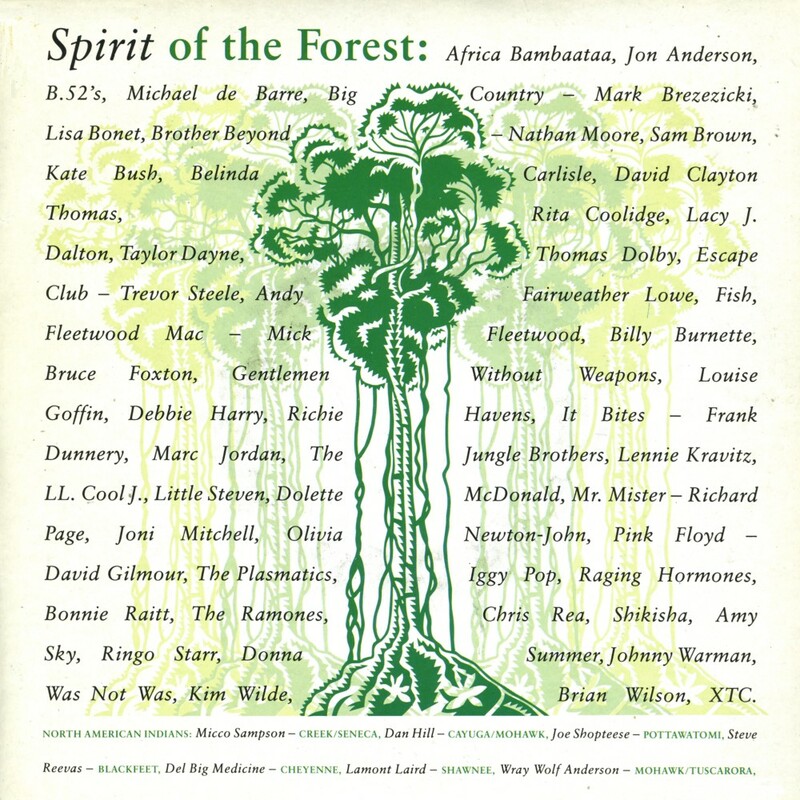 The track features a beautiful guitar solo by Pink Floyd's David Gilmour. 'This feeling' was remixed for the single, which in fact didn't really make it much better, but it was shorter and that was probably the most important thing for the record company. It didn't help matters much: the single stalled at number 91 in the UK singles chart, although it did manage to reach number 28 in the Dutch Top 40. Sam Brown wrote 'Stop!' together with Gregg Sutton and Bruce Brody during a trip to Los Angeles. Sam commented: 'I was driving on the Pacific Coast Highway heading south and the idea for 'Stop!' came into my head. I kept it there until I got back to my hotel room where I probably jotted down some thoughts. I didn't really realise that it was a blues song - I'd had no blues experience then.' She met Sutton and Brody in Brody's hotel room as he was preparing for a live concert with his group Lone Justice. They put the song together in half an hour. In 1988 when 'Stop!' was becoming a hit country by country across Europe, Gregg went to Amsterdam with Sam and her crew to celebrate it going to the top of the chart in Holland. 'It was considered to be like Cleveland, a test market for Europe.' explains Gregg. 'The music biz insiders said if a record did well there it would do well everywhere in Europe.' They were right: the single became a top 10 hit all over Europe and reached number 4 in the UK singles chart. My copy of the single is a limited edition poster sleeve from the UK. 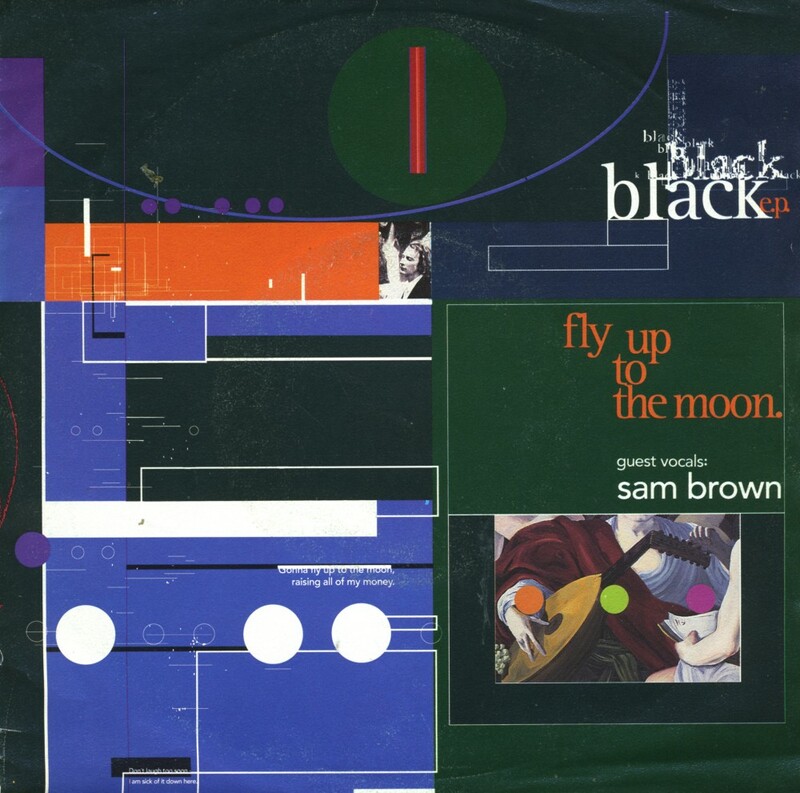 Sam Brown is the daughter of Sixties rocker Joe Brown and top session singer Vicki Brown. She was born on October 7, 1964 in Stratford, London, England. She began her musical career at twelve, singing backing vocals on the Small Faces album '78 in the shade' (1978). She continued doing backing vocals with Sade, Spandau Ballet and Barclay James Harvest. This 12" single represents a discographical mystery within my collection. 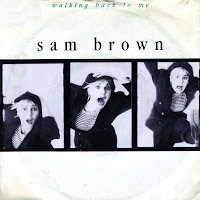 Sam Brown released several singles from her second album 'April moon', all of which appeared on cd-single. Yet, I've never seen a cd-single for 'As one', just this 12" single with three exquisite B-side tracks. So was there never a cd-single? If you know, let me know. 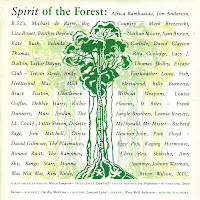 'As one' was the last single drawn from 'April moon', and was not rewarded with a chart placing. It effectively ended Sam Brown's recording contract with A&M, because when she presented '43 minutes' a good two years later, the company did not want to release it, for fear of its lack of commercial appeal. Fortunately, the album still came out after the contract was ended after some legal wranglings. For '43 minutes' represents Sam's finest work.